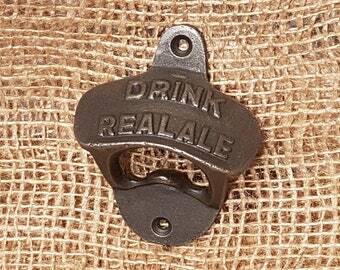 Cast Iron Bottle Opener "Drink Real Ale"
Magnetic Cast Iron Bottle Opener in 3 colors! 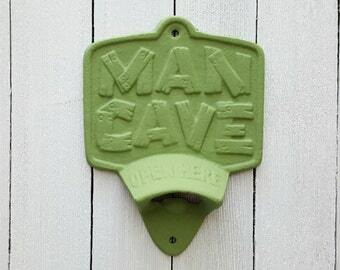 Great gift for him! 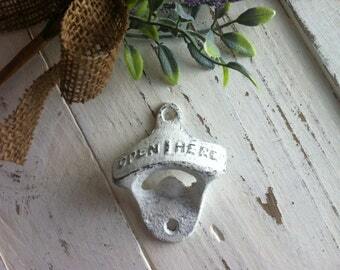 Magnetic Bottle Opener! Nice addition to fridge! 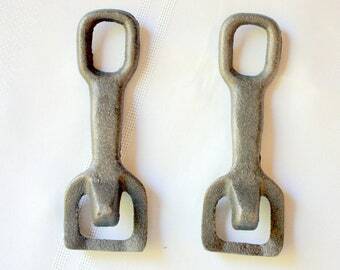 Iron gift. 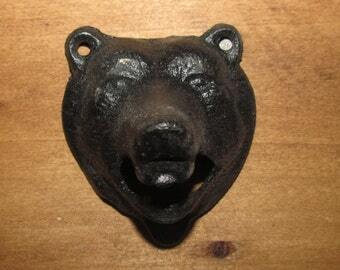 Cap catcher.